Rome City Transfers is a company which has been operating in hire with driver business for several years, without the mediation of agencies and always ensuring lower and competitive prices, maintaining safety, quality and comfort. The services are carried out with the most precision and reliability in the transportation of people, from tourism to business, with highly qualified staff, who will be waiting at the place chosen by you, avoiding long queues and inconveniences of common travelers. With the use of elegant Mercedes-Benz cars, equipped with POS for online payments, air conditioning and newspapers, a route in complete relaxation is always guaranteed, offering maximum comfort with a friendly, discreet and professional service. Our vehicles are serviced regularly and are insured for both our drivers and passengers. Our services, with telephone and online booking remove annoying delays. The convenience of traveling in a private car, mainly consists in the possibility of saving valuable time. Once at the bus/train station, airport of Rome Fiumicino/Ciampino, or at the port of Civitavecchia, you will not have to wait even a minute. You can immediately leave with the driver and the car you have chosen. 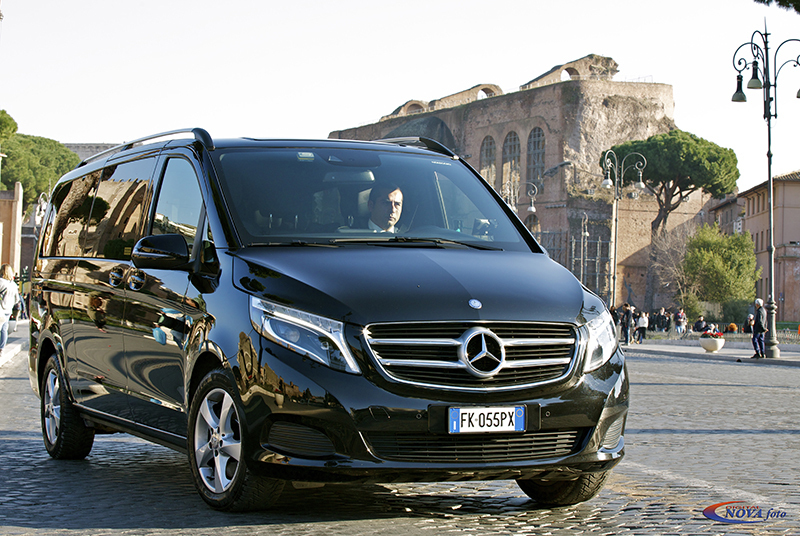 The company pays its rental service with driver mainly in the city of Rome and its surroundings. Customized trips or tours planned for yourself are possible, lasting one or more days, choosing tourist destinations that you have always dreamed of visiting. We will help you make your dream trip come true.